The majority of homes in Las Vegas have Home Owner’s Associations. This can be a benefit or a detriment when shopping for a new home, or selling one. In theory, the HOA will provide at a minimum, protection for your home’s value based on the homes around it being kept up rather than falling to disrepair and negatively affecting your home’s value. In reality, the HOA can be seen as an additional cost to home ownership that can vary in benefit as widely as buying a great or terrible stock of a company. In a way that analogy is very on point, as management of the HOA and it’s assets, legal status and financial standing can cover a wide range. Bonnie Springs Ranch, nestled between the quaint town of Blue Diamond, and Red Rock National Park in West of Las Vegas’ Valley has been contracted for purchase by developers. Many Las Vegas locals are upset, recalling their childhood memories of riding the train to the petting zoo and old mining town recreation. 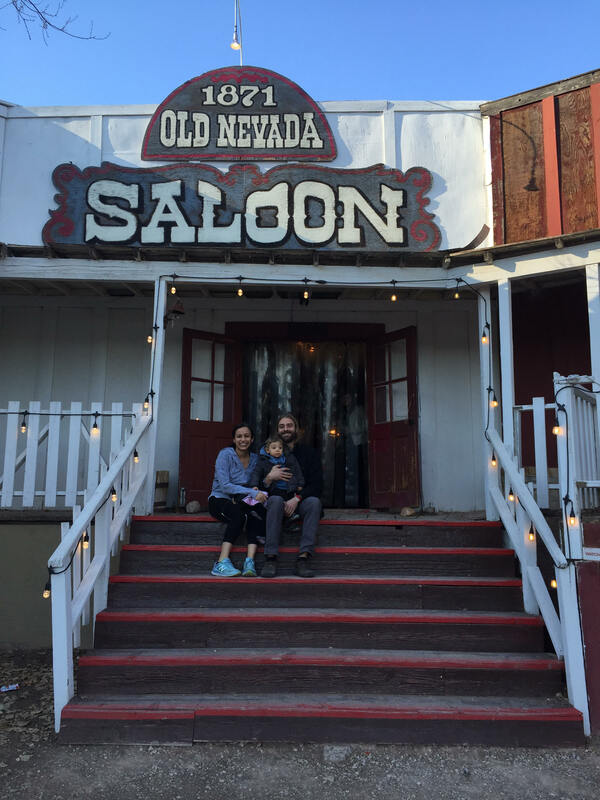 We are loosing a bit of Nevada history, a family outing that provides something of value to those looking for a fun family afternoon with a bit of historical culture for the area. We’re also loosing a bit of the pristine natural wilderness and the feeling of being ‘out there in the desert.’ One thing is certain, Las Vegas has always developed from the center, out. As time goes on, the newer suburbs are always being built out where ‘just a few years ago there was nothing but one road, and open wilderness.’ As you move to the center of the city, the older homes become a bit of a time capsule, as my broker, Jack LeVine at VeryVintageVegas.com employs a bit of tongue-in-cheek humor with our still relatively young city while promoting the benefits of these older homes. Things like bigger backyards, unique mid-century architecture, and central proximity to the vibrant energy of our entertainment capital. If you were to look at a maps of the Las Vegas area throughout the decades you would see these concentric circles of development. Many families have been flocking out to Bonnie Springs Ranch for another visit, one last chance to enjoy the site of their childhood memories. We were among those visiting last weekend, taking our one year old son even though he likely won’t remember. We wanted to at least give him the experience while we could. It was great to spend the day with some friends & family enjoying the glimpse of Nevada’s past, but I can’t say I’m upset that the nature of development is taking it’s course. Maybe not everyone will be in the market for one of these 2-3 acre home sites, but on a macro level, if development weren’t to take place, competition for homes would be outrageous as supply and demand would drive home prices through the roof. At the end of the day, what we have is a seller wanting to sell, a buyer wanting to buy, and we wound up with a situation that is much better than it could have been. This proposed development will be much less crowded that previous proposed developments in the area have been. Yes, we’ll be loosing a piece of our history, but the area will be much more open than even zoning would allow. I’ve heard it from a few people. One of them is sitting on over $130,000.00 in cash. Waiting for another 2008 market collapse. The thing is, that money under your mattress, it’s loosing value every year due to inflation. Sure, real estate goes up & down cyclically but nobody knows exactly when those cycles hit. There were a lot of investors in 2000-2005 who cashed out, assured we were at the peak. I’m not telling you to time the market. What I am saying is that the devaluation of your money is non-cyclical, and certain. Grandpa always says when he was your age a gumball was a penny, not 25 cents. Are you planning on buying a home, moving in, making it your own & moving out next year? Probably not. 5-7 years maybe. Long term inflation average between 1913 & 2013 according to InflationData.com is 3.22%. Here’s the kicker. Inflation of 3.22% doesn’t seem that bad to those who don’t understand the power of compounding, but as the article goes on to mention, that compound effect means an actual item that cost $100 in 1914 would now cost you $2,375.00. As we keep printing money, homes will always be built from materials, on land, the cost of both will be affected by inflation. So, if you need 200 2×4’s, 2,000 sq ft of flooring, etc. to build a home, and then the cost of the land.. it’s total price is all affected by inflation or the compounding devaluation of the dollar. So yes, home prices will go up, and they will go down.. and then they will go up again but buyer’s aren’t getting homes at the prices of 30 years ago. What won’t change is your need for a place to live. If you’re currently renting a decent 3 bedroom home in Las Vegas, and say you’re paying $1,600/month.. you’re paying $19,200/year and when you move you’ll have nothing to show for it but a U-haul bill. If over that statistical 5-7 years you’d be in the place, you could have been paying $96,000-$134,400 towards ownership of an asset that will adjust with inflation (among other factors). Yes, there are other factors that will adjust the value of your home than inflation, however when you look at something like gold, which some say is a solid hedge against inflation… there are other factors that affect the price of gold as well (such as stock market dips and advertisements on how safe gold is); and you can’t live in your gold. “I’m waiting for the price of homes to drop due to rising mortgage rates!” This is another one I’ve heard. Thing is for most primary residence buyers, if there were a direct correlation of price reduction to interest rate hikes, the result would be no change in your monthly payment. Unfortunately for those who haven’t dug a little deeper, there is actually an inverse correlation historically. I could explain, but there is already a good article posted here on First American’s website. The link above references a strong economy making housing less affordable. As we look locally, the Las Vegas area economy is seeing over 13 billion in new capital investment, and people moving here (your competition when home buying) are younger and wealthier than before. For more of these figures and data, see research posted here at California Credit Union League’s research on Southern Nevada. So with a growing local economy, rising interest rates, rising home prices year over year, your savings devaluing annually, and about $19,000.00 you’re paying in rent each year, tell me again why you’re waiting to buy? As you drive around the valley, I’m sure you’ll notice a ridiculous number of apartment projects being built. Do you think the companies pouring millions into those projects didn’t do their homework? They know plenty of people won’t take action today, and will be mailing them checks every month so we can ‘afford’ to live and work here. Don’t be one of those income streams for these corporations. Call or email me today and let us help you get on a better path to financial freedom and home ownership, Las Vegas.